First time in the history of Calicut,Navy Band will come in the city and perform a public concert at SM Heritage Street and Mananchira ground ,Kozhikode on Republic Day,January,26,2018. 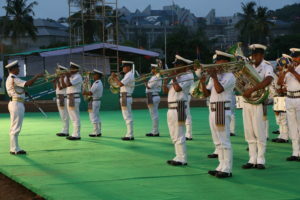 Navy Band,a martial music of international repute,sought after by major metropolitan cities in India and abroad, will perform its concert with a combination of brass and jazz bands on It is first time the band is performing in Kozhikode. 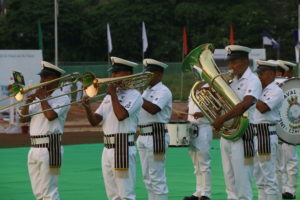 And,it is very rare that Navy Band performs in public place. 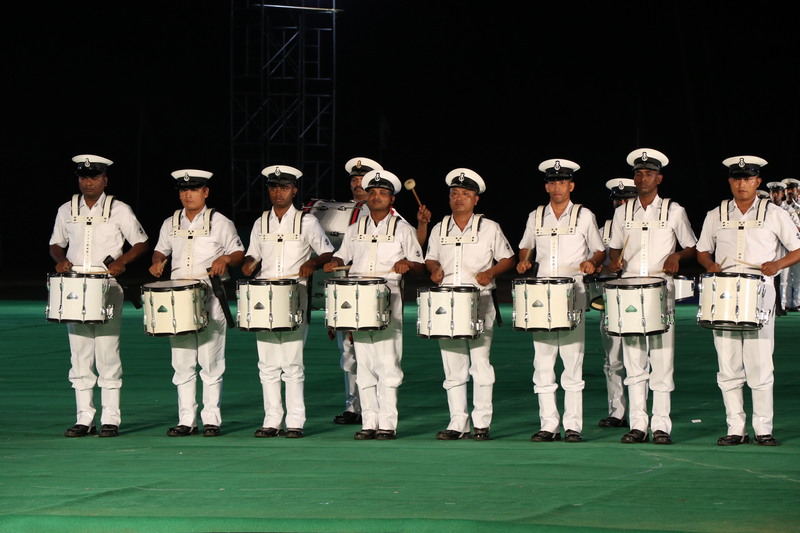 “The navy is very selective in conducting band concerts outside warships and naval cantonments.”-said Kozhikode district collector UV Jose IAS and captain Ramesh Babu in a joint press meet today,at the collectorate conference hall. The band performance will start at 6.30 pm , with a march past. The Brass band will march along the recently revived heritage path at SM Street , playing martial music. It will be accompanied by one girl’s band and one boy’s band from reputed schools in the city. The march past will be followed by a band concert at Mananchira Square,to be performed jointly by the Jazz Band and Brass Band of INS Zamorin,deputed to deputed Kozhikode under the outreach program of the Indian Naval Academy. Both the bands will play classical and light music,using exotic wind instruments such as the bugle,trumpet,saxophone,xylophone,and flute,which will accompanied by main drums and side drums. 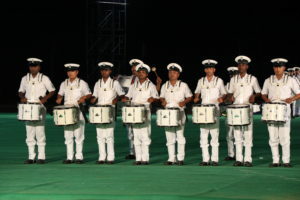 The highly disciplined band will be opened to public. This News was posted on Tuesday, January 23rd, 2018 at 3:47 pm and is filed under City Talk.